ParamCARE Foundation strongly believes that total health of every citizen is the true reflection of the community, state, and the country because the growth of any Nation depends upon the productivity which is directly related to the health quality of the citizen. The health of the people can be ensured by providing the equal opportunity to live in healthy environments, healthy lifestyles, and the best quality health care. The team of ParamCARE Foundation believes in total Devotion, Dedication, and Diligence and promote strategies and activities to raise awareness on health maintenance and disease prevention, in a culturally sensitive manner. Healthy behavior among the population, through social learning, and thereby get closer to build a healthier community and country. The number of people participated in an event and enrolled for follow-up workshop session series for Fall Preventive Exercise Program and Chronic Disease Self-Management Program. For the promotion of global health by adopting yoga, harmony and peace the Indian Prime Minister Narendra Modi in his UN address suggested the date of 21 June, as it is the longest day of the year in the Northern Hemisphere and shares a special significance in many parts of the world. Following this initial proposal, the UNGA drafted resolution entitled “International Day of Yoga”, on 14 October 2014. June 21 is being observed as International Yoga Day every year. 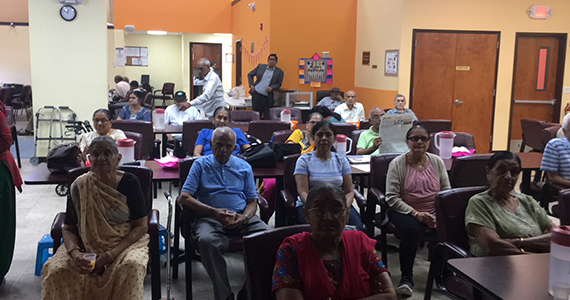 The ParamCARE Foundation also, celebrated International Day of Yoga on Thursday, June 21, 2018, at the PADC 60 E Hanover Ave., Morris Plain NJ. Mr. Vipul Amin-The President of the ParamCARE Foundation participated in an event and explained in details about the importance of yoga. He highlighted various quotes from Vedas & Gita and said that Yoga is a physical, mental and spiritual practice originated in India and it is an invaluable gift to the world. Yoga embodies the unity of harmony between man and nature mind and body that is thought and action, restraint and fulfillment, a holistic approach to health and well-being. It is not about exercise but to discover the sense of oneness with yourself, the world and nature. “Yoga has the perfect solution to the problems we face in day-to-day’s life, either as individuals or in society. Yoga is not the name of religion but it teaches us the way to lead a contented life is yoga beautiful because it is ancient yet modern,” he said. Yoga is a physical, the mental and spiritual practice originated in India and it is an invaluable gift to the world. Yoga embodies the unity of harmony between man and nature mind and body that is thought and action, restraint and fulfillment, a holistic approach to health and well-being. It is not about exercise but to discover the sense of oneness with yourself, the world and nature. For the promotion of global health by adopting yoga, harmony and peace the Indian Prime Minister Narendra Modi in his UN address suggested the date of 21 June, as it is the longest day of the year in the Northern Hemisphere and shares a special significance in many parts of the world. Following this initial proposal, the UNGA drafted resolution entitled “International Day of Yoga”, on 14 October 2014. 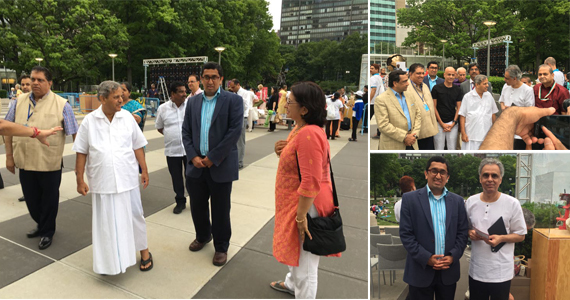 The ParamCARE Foundation was invited by the Permanent Mission of India to celebrate 4th International Day of Yoga on the evening of Wednesday, June 20, 2018, at the North Lawn of the United Nations. Mr. Vipul Amin- President of the ParamCARE Foundation participated in an event and exchange their views along with the Dignitaries Mr. Syed Akbaruddin, Permanent Representative of India at the UN, Dr. H.R. Nagendra, Padma Shri Awardee, Vice-Chancellor of S. Vyasa Deemed University, Bengaluru, India and other well-known people. June is Alzheimer’s & Brain Awareness Month, a time dedicated to increasing public awareness of Alzheimer’s disease, available resources and how people can get involved to support the cause. Alzheimer’s disease may be treated. There are many drugs in the Alzheimer’s treatment pipeline. Avoiding risk factors may delay or prevent cognitive problems later in life. Alzheimer’s is more than memory loss. It can appears through a variety of signs and symptoms. The vision of ParamCARE foundation is to build ‘Healthy America’. Our mission is to work for Communities where all the citizens, irrespective of their background, heritage, socioeconomic status, current state of disease or wellbeing should live healthier, happier, active, longer lives with enhanced cultural and social values for wellness of societies and then by our country. To enhance the health quality and disease prevention, in communities, we not only outreach the people through our educational & awareness seminars like holistic approach for healthy life style, workshops on cancer awareness and disease prevention, etc., but we also support the similar events conducted by other organizations for the benefits of the society. 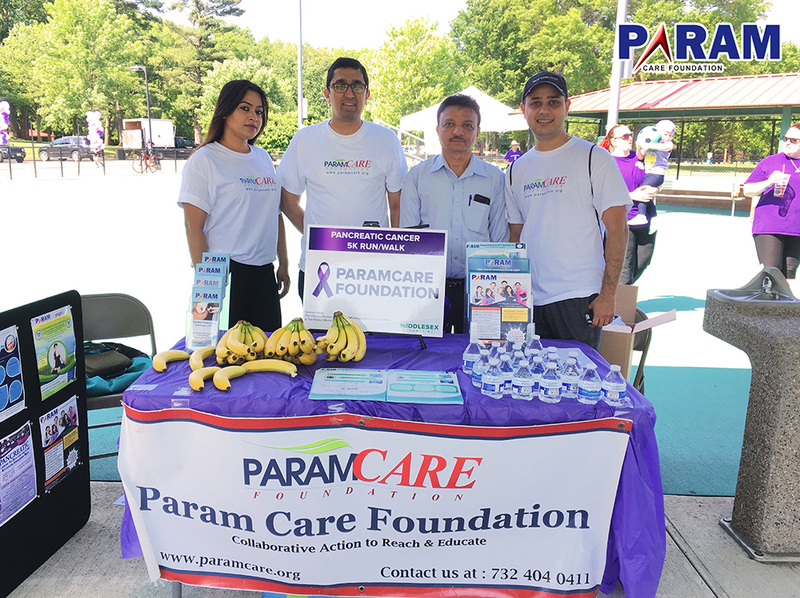 ParamCARE Foundation was invited by the Director, Office of Health Services, Middlesex County, NJ for participation and support the 10th Annual 5K Pancreatic Cancer Awareness Walk, on June 09, 2018, in Roosevelt Park, Edison, NJ. ParamCare Foundation had been gracious enough to have a table to showcase the events, services related to programs. More than 300 people were participated in Cancer Awareness Walk Event. At the end of an event Mr. Lester Jones, Director-Middlesex County Health Officer, thanked Param Care Foundation for nonstop support for all the activities of the Middlesex County. ParamCARE Foundation is a New Jersey charitable and IRS 501 (c) (3) certified non-profit organization which was established in 2011. 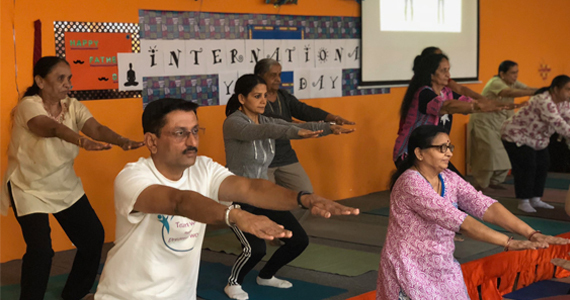 It has been actively promoting strategies and activities for healthy living and well-being socially, physically and emotionally through its outreach activities. ©2019 ParamCARE Foundation. All Rights Reserved.